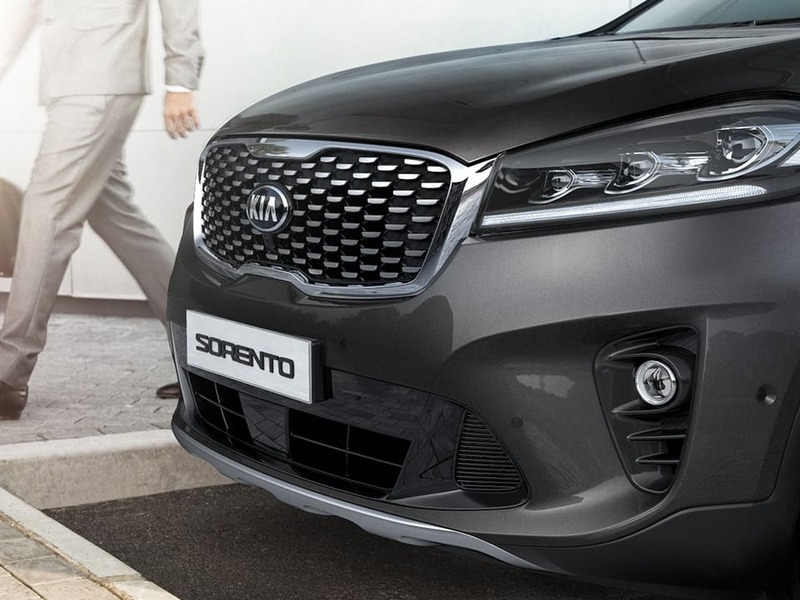 Framed by an elevated bonnet, the swooping, contoured full LED headlamps with Dynamic Bending Light technology on the new Kia Sorento are inset with striking LED daytime running lights for increased daytime visibility. Always stay visible – and recognisable – thanks to the distinctive rear LED combination lights. Inspired by a refined vision using generous proportions, the wide horizontal layout of the cabin instantly feels welcoming. From the flowing contours and the sweeping dashboard, to the air vents and the sculpted door trim, every detail gently wraps around the driver, for an optimum on-road experience. Everywhere you look and touch, hints of finesse stand out, such as soft-touch fabrics, leather, high-gloss accents and satin-chrome finishes. It’s no secret that our designers went all out to create genuinely luxurious cabin that tantalises the senses. 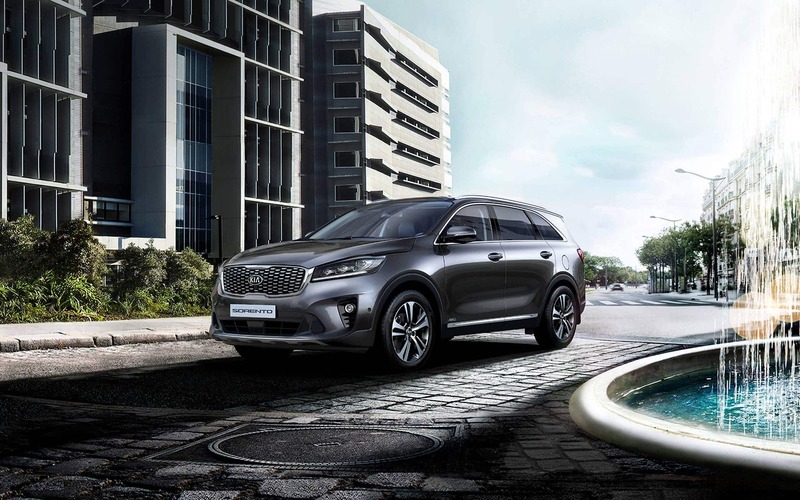 There are no limits to enjoying your spacious new Kia Sorento. 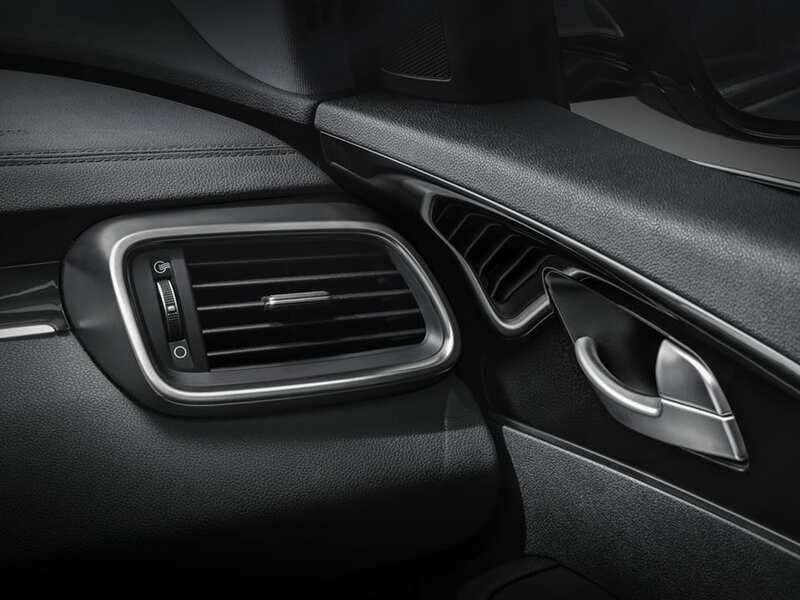 It all begins with the ergonomic, comfortable and highly versatile seats on 5- and 7-seater models. The interior is especially roomy, with generous legroom for passengers in the rear. Available third-row seating allows up to seven people to travel in absolute relaxation and comfort. 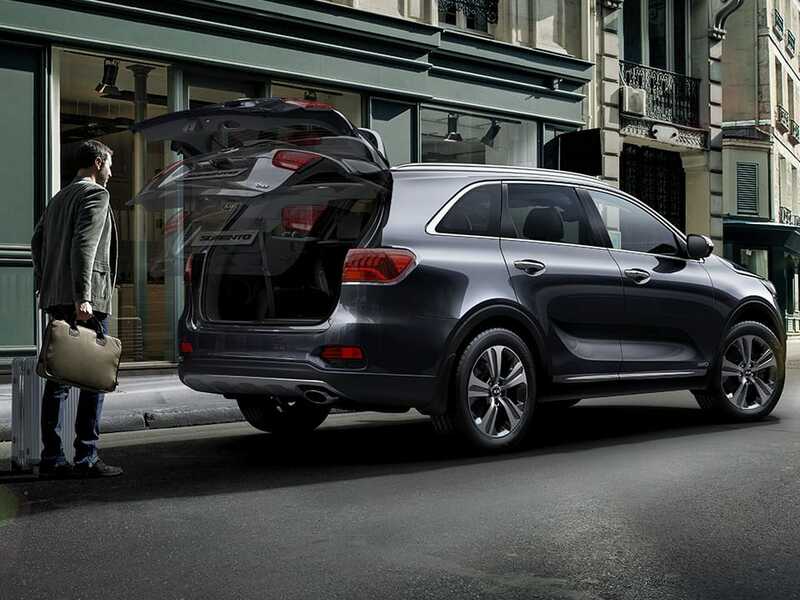 The rear tailgate opens automatically in the new GT Line when it senses your Smart Key in close proximity – so you can slide shopping or heavy objects into the back without the hassle of finding your keys. Sit down on the firm seats, finely crafted with soft leather trim. 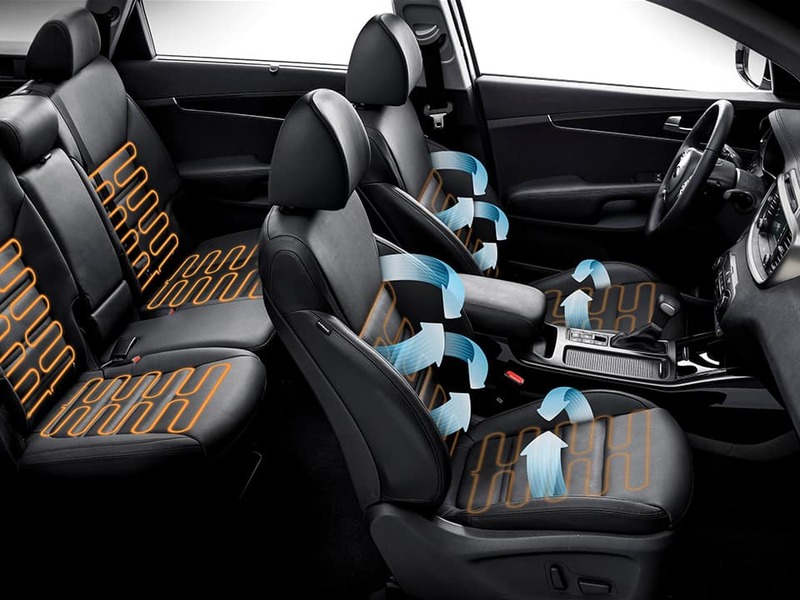 Enjoy multi-way power seats plus on chilly days, heated seats provide three levels of warmth. Unique aesthetics and sportiness define the dedicated GT Line interior. Details like chrome inserts throughout, black leather seats with contrast stitching and the GT Line emblem create a haven for road travel. Sit back and enjoy a captivating driving experience – in pure comfort and GT Line style.